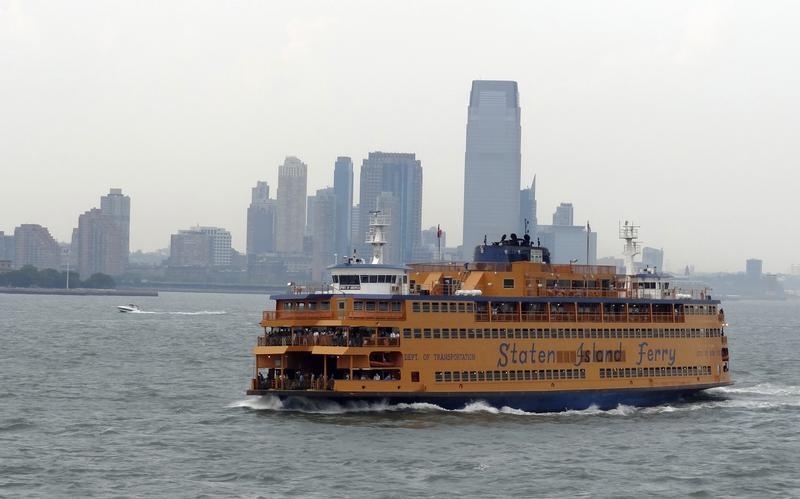 New York - New York City will be installing USB ports on Staten Island ferries and terminals after shutting off electrical outlets because passengers were fighting over them. The Department of Transportation tells the Staten Island Advance (http://bit.ly/29QZTjJ ) that USB ports will be installed at ferry terminals in the fall. After that, they’ll be added to vessels. DOT spokesman Scott Gastel said the agency wants to strike a balance between technology and public safety. A ferry worker was punched during one of the disputes. Police also said gangs were hoarding some terminal outlets. The Advance said it’s unclear how the city will stop riders from fighting over the new USB ports. Charge $1.50 for use of the ports and people won't fight. In Israel if you want A/C in many shuls you have to put money in a machine. Set up the same ion the ferry line.